On the next screen you will be asked for your details and you will be required to pay a 20% non-refundable* deposit to secure your round. 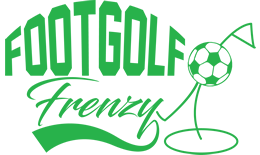 The remainder 80% will need to be paid when you arrive at the Footgolf course - this will be clearly stated on the invoice you receive after booking. Please note that there is a 25p administration fee to ensure we can continue to operate a seamless and efficient booking system. This fee doesn’t relate to transaction charges incurred for processing payments and remains the same regardless of your payment method. *Please refer to our booking terms and conditions.